Handmade wooden bird, approximately 70mm high. Designed and hand-crafted in London. These ornamental birds are made from English sycamore or American black walnut wood. Colour ways exclusive for Frank. 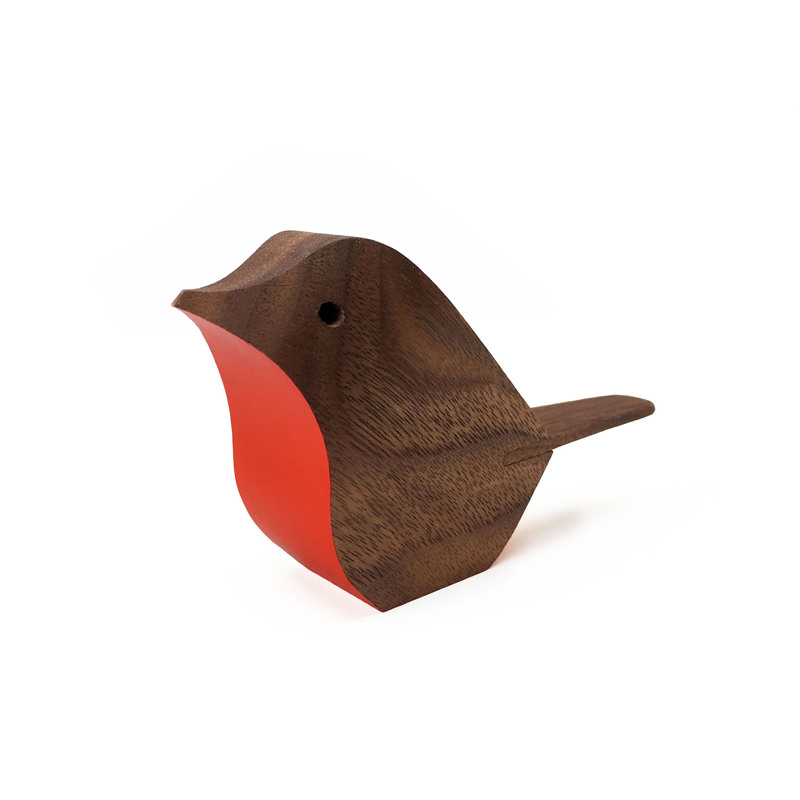 SKU: New red wooden bird. Category: Wood.